Normally, our blogs address either high-level views of revenue cycle management with an emphasis on billing automation. Or we get into the nitty-gritty of how-to’s for those who either prepare and submit the claims or supervise those who do. 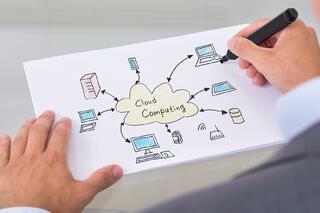 What we have discovered, though, among our contacts and clients from the C-Suite to the billing office is that many have asked us, “What is the cloud?” Haven’t you used a word almost all your life, but have never really looked up its definition? Then one day, you find yourself using the word in a conversation only to question your understanding and use of the word. Well, one of those words, we’ve discovered, is the “cloud”. So let’s give you a very quick and stratospheric overview. Here goes. Never mind the distracting diagrams of arrows pointing to or away from a line rendering of cloud-to-computer relationships. (Disclaimer – there are several definitions of the cloud, but for our purposes, we’ll limit it to Software-as-a-Service or SaaS.) In this case, the applications and data you use reside somewhere other than in your computer or on your company’s network. Instead you access these as a service over the Internet. Hence, SaaS. They are located somewhere in the “cloud”. When you “Google” something, you are using the cloud. Are you a TurboTax customer? Likely you prepared and filed your taxes on line. That was the cloud. Have you purchased or sold anything on eBay? That was the cloud. You don’t know where exactly the servers containing the application and your data or transactions reside, but they are out there in a secure data center environment. Simply put, someone else is managing the service for you. You don’t need to build, staff, manage hardware and software licenses, upgrade, and fix. You leave the job to someone else while you focus on what you need to do without unnecessary distractions. You also only use as much of the service as you need. It’s like a utility. You pay for it on demand, such as the TurboTax example, or on a subscription basis, like our primeCLAIMS application. No hassles for you. The application and your data are accessible anytime from anywhere you have a secure connection to the Internet. What does that mean to Revenue Cycle Managers? Revenue Cycle Management is complicated enough without worrying about and hassling with the hardware and software needed to prepare, process, submit, and monitor your claims until payment arrives. 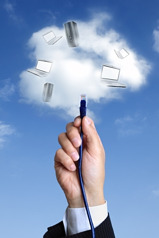 Using the cloud is simple. You focus only on the revenue collecting tasks at hand and what clearinghouse provides the best solution to meet your needs. The cloud has revolutionized how you can monitor and manage claims through a clearinghouse. It speeds up the process, making the process practically transparent. It’s a win-win for all concerned. Just choose carefully. It just make cents. The entire health care industry – particularly long-term care – has long been powered by paper. Think of the numerous files, charts, forms, and binders you’ve seen that follow patients from doctor to doctor and hospital to nursing home to home health agency. But we’re finally seeing a shift in this paradigm as the health care sector adopts and embraces IT. Here are two of the latest trends driving this shift. Migration to the cloud. We’ll admit it: the good thing about paper documentation is you never have to reboot or worry about them crashing. But by migrating to the cloud, your business’s data have protection from any and all forms of disaster. The best part? You’ll always know exactly where to find it. Virtualization. By virtualizing desktops, servers, and applications you not only save money but you increase efficiency as well. Virtualization optimizes communication and streamlines the process for updates and repairs since it can be done remotely. What do these trends mean for facilities and their residents? For one, cloud computing and virtualization work together to cut both cost and risk when it comes to data storage. Implementing them will mean more efficient communication both within the facility, with patients, their physicians, and family members and along the entire care continuum. Is your business on board with the latest trends in LTC? In your opinion, how have these trends affected health care delivery? 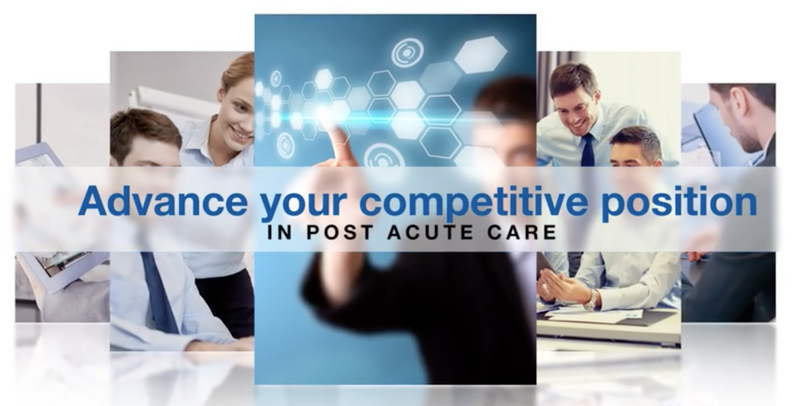 Contact Prime Care Technologies today! 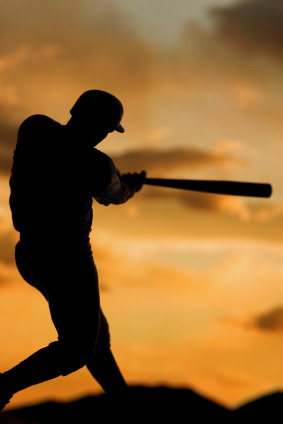 In the Spring of this year, I used baseball as a metaphor for the “game of Long Term Care.” At that time I said that providers were “going to have to step up to the plate and respond swiftly and powerfully to the curve balls of regulatory changes, the sliders of reimbursement, the change-ups of market pressures, and the fast balls of competition.” Little did I know at the time that the term, “sliders of reimbursement,” was going to be uncomfortably prophetic. Because of the drastic “adjustments” to Medicare reimbursement and declining Medicaid rates, the slider is real – a potential slide downhill, that is; they’re game changers. I would like to take the baseball metaphor one swing further. A successful swing at the plate requires not only skills, talent, great vision, quick reflexes, good upper body strength, and sound judgment, but a solid bat as well, one that each batter can handle comfortably and confidently. It’s the tool that hitters rely on. In the case of LTC, the “bat” I am referring to is IT (information technology). And it’s time for IT to prove its worth as a tool to identify savings without cutting quality and to prevent unnecessary revenue leakage through automated tools and processes. Let’s start with IT itself. Article upon article and one study after another have clearly identified that the “cloud” offers the scalability, flexibility, reliability, and savings that other methods of IT deployment may not offer. Cloud-based computing means lower initial costs and TCO, because all IT-related procurement, maintenance, management, and upgrades are handled remotely. Further, the cloud’s monthly subscription-based model enables providers to use their capital for other critical areas of their business. Earlier this year, the CIO Consortium identified that, “Reasonable, five-year costs to deploy currently available EMR technology and eliminate paper records range from $254,000 per facility for third party hosted solution (italics and color added for emphasis), $259,000 for vendor hosted Software as a Service (SaaS), and $356,000 for an in-house hosted solution.” Clearly, now is the time to carefully consider the cloud as a solid source for immediate and long-term savings. What specifically does IT offer that will help providers identify savings, stop revenue leakage, and ensure that they are in compliance with regulations? The answer is automation - automated claims management to stop revenue leakage; automated MDS and RUGs reporting; automated procurement to make sure that purchases are per contract pricing, timing, and quality; automated labor management; and automated real-time Key Performance Indicator (KPI) reporting. Automated claims management helps providers not only to generate, review, edit, and transmit claims, but to identify and act immediately on issues when and where they occur. This includes incorrect claims codes, codes changes and regulations, missing codes, poor communication between clinical and billing staff, poor pricing practices, and inefficient and ineffectual internal review processes. Automated MDS and RUGs reporting lets providers identify facilities most "at risk" with poor survey performance; discover how each of their facilities ranks among its peers; pinpoint facilities which are operating below or above critical primary care staffing levels; detect residents/patients who are clinically at risk; observe the financial impact of MDS submissions by facility, region, and corporation; scrutinize QM/QI’s at a facility, region, or corporate level, and analyze reimbursement rates (RUGs). Automated procurement involves complete commerce automation (purchase orders, invoices, and product and contract maintenance) and reporting with intelligent direction and feedback for procurement decisions. It connects multiple facilities, satellite locations, and branch offices to the vendors, products, pricing, delivery terms, and service providers carefully negotiated and selected by their parent company. Automation allows flexibility and customization for each corporate entity to support their partner selection, the business rules negotiated with each partner, their internal G/L structure, and their purchasing chain of command. Automated labor management gives providers the tools necessary to manage and control that which amounts to almost 60-70% of a provider’s spend – labor. Automation offers applicant tracking, time and attendance, payroll, and human resources management. Not only can providers reduce costs wisely, but also increase productivity. Automated real-time Key Performance Indicator (KPI) reporting, or a digital dashboard, translates into business intelligence, which to LTC providers means they can quickly analyze and act on census levels, admissions, and discharges; labor hours and costs; and receivables and collections. Armed with this incredibly valuable information, providers are able to monitor how well they are saving money and increasing revenue in real time and take action, when necessary, with surgical precision. IT through the cloud will not only help providers survive, but ultimately win, by confidently hitting whatever is thrown at them out of the park. I argue that Accountable Care Organizations (ACOs) do not represent a health care delivery revolution, but an evolution. Based on my experience in LTC and what I’ve been reading on the Internet, ACOs appear to be an evolutionary variant of the species known as HMOs. Regardless, ACOs represent a significant change to health care delivery. The ACO model will have a sweeping impact on how health care is planned for, delivered, documented, reported, and paid for. It follows that for an ACO to work, information technology serves as the glue that holds it together; those providers who have successfully worked with HMOs can attest to the critical role IT plays. Participation as ACO members will require providers to carefully evaluate what such participation will have on their respective IT systems. An ACO is a group of providers and suppliers of services that cooperatively deliver seamless, high-quality care to Medicare beneficiaries while reducing costs. Therefore, ACO providers must coordinate, deliver, document, monitor, and report patient care not only in terms of the quality of the care delivered, but the costs related to that care. The key word here is “interoperability.” This means the ability of health information systems to work together within and across organizational boundaries in order to advance the cost-effective delivery of healthcare. Interoperability involves seamlessly integrating data and information within each organization and among all providers who participate in an ACO. In other words, each provider must at least have a fully-integrated clinical and financial system in place. This system must reliably, securely, and with interoperability communicate with other ACO members’ systems. So, if ACO’s are in your organization’s future, will you be ready? • Do you know where IT is today and what you will need? • How much will it cost to get IT up and running quickly, securely, and affordably? With outsourcing* - sooner than you think and with little to no capital. • How much will it cost to maintain it? It’s less expensive than you may think. 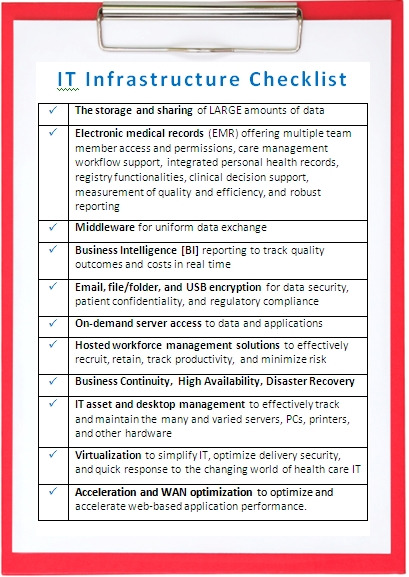 If ACOs are not in your future, is the IT infrastructure checklist relevant? We’ve found that if you think it is, you’re ahead of the curve. However, if you think not; we urge you to think again. *Cloud-based managed hosting infrastructure, services, and solutions have helped LTC providers leverage any and all such opportunities, such as ACOs offer, quickly and affordably. Are ACO’s in your future? What impact do you think ACOs will have on IT?